Can You Help Us Find Meadowlarks? The Eastern Meadowlark is in serious decline in our state and nationwide. To understand what we can do to turn this around, we’re enlisting the help of volunteer birders and citizen scientists. By entering observations on our project webpage, anyone can contribute to conservation efforts for this iconic species. Meadowlarks disappeared from over 78% of their Massachusetts breeding sites since 1979, according to Mass Audubon’s Breeding Bird Atlas. This decline is only partially explained by meadowlarks’ habitat requirements. Conservation scientists know that meadowlarks need a certain kind of grassland habitat— vegetation that’s short, but not too short; fields over 20 acres with no standing trees. These days, however, suitable fields that once rang with meadowlark song are quiet and still. Agricultural intensification certainly plays a role: 95% of Eastern Meadowlarks nest on private land. 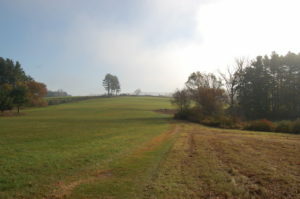 Fallow farm fields are harder to come by and pesticide application increases apace; more and more pastures and grassy fields are either overgrazed or developed. But this is only part of the story, and it’s up to us to figure out the rest. All you need to do is visit our Anecdata webpage and select sites where you can help look for meadowlarks. To view a map of sites, click on “add an observation,” then click “use a hotspot” in the upper left, and then click “map.” Be sure to sign up for the hotspots you choose on the signup list mentioned in the project description! To keep our data uniform and reliable, a volunteer should survey a site three times between April 20 and June 15, for any ten-minute period between 5:30AM and 9:30AM. Not all of our sites may have meadowlarks, and that’s perfectly fine— knowing where they aren’t, and figuring out why, is just important to us as knowing where they are. These surveys can be great fun. It’s no longer every day that casual observers see the bold pattern and lemon-yellow blaze of a meadowlark standing, flaglike, atop a fencepost. Fewer and fewer people recognize their ringing whistle. There’s always some pride in finding an uncommon bird. But the joy of a meadowlark sighting can also be colored by nostalgia, whether for the historical abundance of grassland birds, or the broader decline of pastoral landscapes. The great thing is, we can do something about it. This entry was posted in Citizen Science, Grassland Birds and tagged Bird monitoring, Bird surveys, Citizen Science, Meadowlarks on April 19, 2018 by William Freedberg. A Bobolink in a field with Oxalis (wild clover) and Vicia (cow vetch). Photo by Allan Strong. The Bobolink Project is almost ready to go! With one week left for donations, we’re just $2000 away from protecting 1,000 acres of grassland bird habitat this year. That would be nearly twice as many acres as when the project started! With this year’s increase in farmers applying to protect habitat on their land, we need to ask for more help to accept as many applicants as we can. 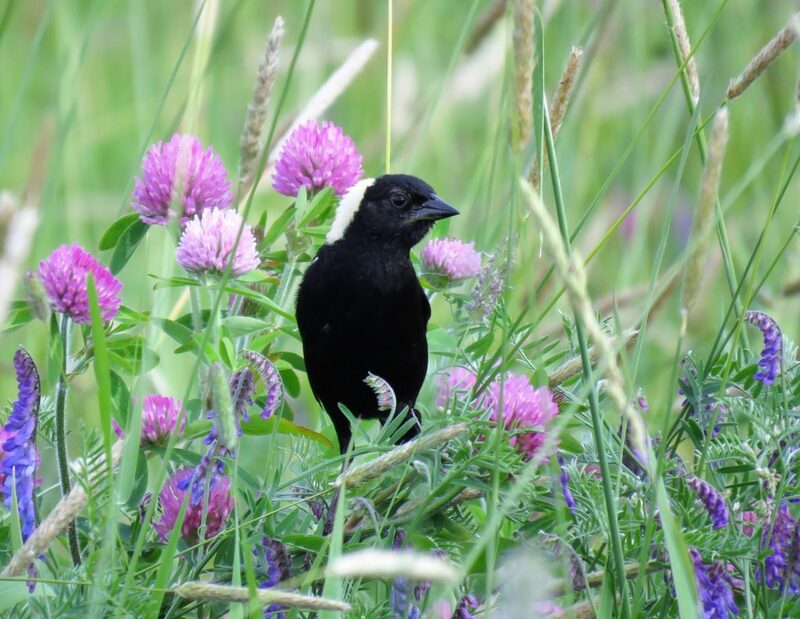 The Bobolink Project works through a reverse auction, meaning farmers name the lowest per-acre price they’ll accept in exchange for a delay in mowing their fields. 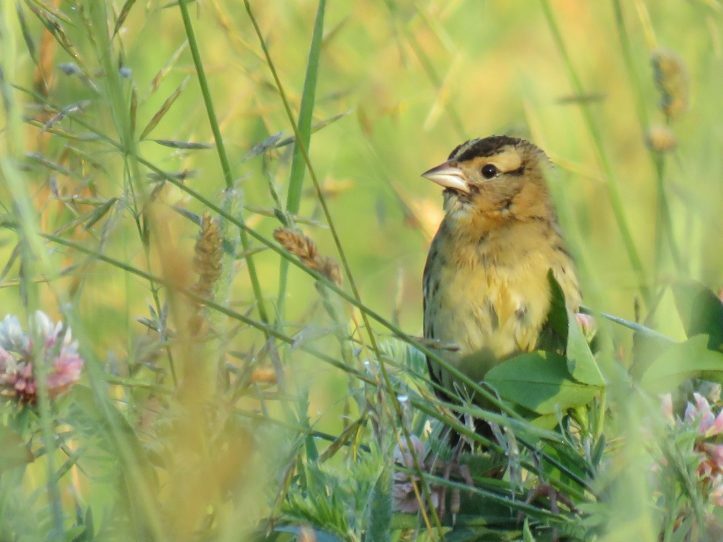 We select the lowest bids and work our way up the list, making agreements with more farms until we reach the limit of our Bobolink donations for the year. 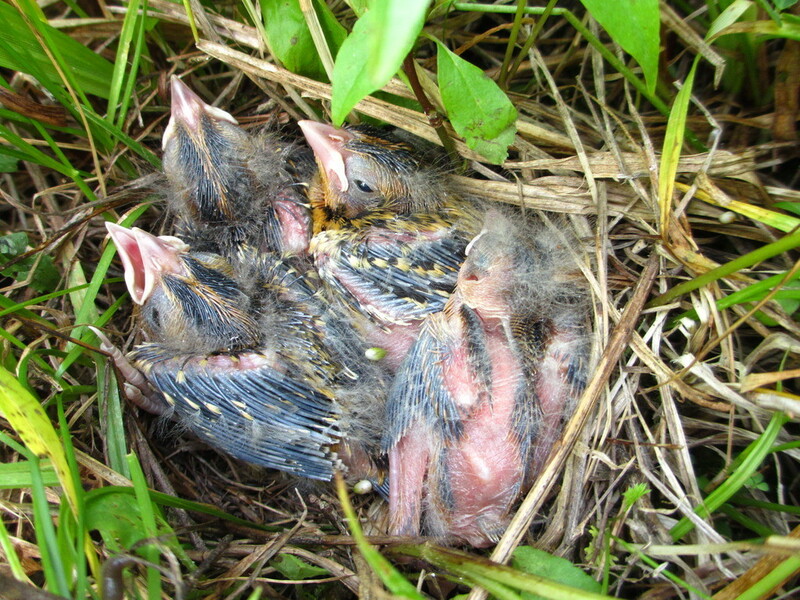 Delaying hayfield mowing is a tried-and-true way of protecting Bobolinks. Hayfields provide an excellent surrogate for the tall grassland Bobolinks require to nest- such an excellent surrogate that Bobolinks can rarely differentiate wild grassland from agricultural hayfields. But when fields are mown before the end of nesting season, eggs and nestlings are destroyed during the harvest. Unfortunately, early-season hay is protein-rich and valuable, and some working farms cannot afford to delay mowing and drive down the value of their hay. That’s where we come in—we use donations to cover the cost of mowing later, essentially buying the birds time to raise their young and move out. Every donation directly protects acreage of fields and their resident Bobolinks. 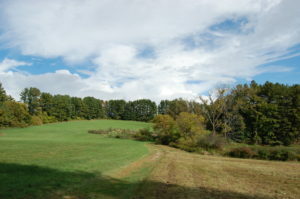 Please help us make it to our goal of 1,000 acres this year! 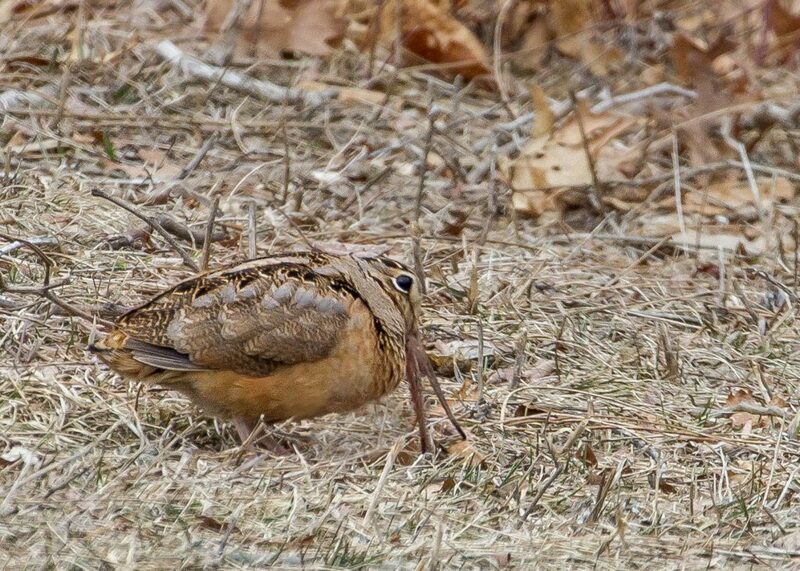 This entry was posted in Birds and Birding, Grassland Birds, Working Landscapes and tagged bobolinks on April 6, 2018 by William Freedberg. 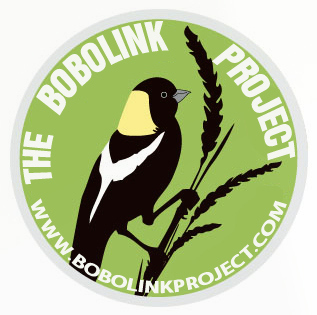 Check out the updated Bobolink Project website! Posted on January 30, 2017 by Margo S.
We are pleased to announce that we have finished updating our website for the coming 2017 Bobolink Project season. Check out the new information at www.bobolinkproject.com. The farmer applications are live and donations are very welcome. We will be accepting farmer applications until March 20. IMPORTANT: We have changed some of the criteria for eligible farms and clarified a few other things so we highly recommend that you thoroughly read through the For Farmers page. We also encourage donors to donate before April 1 when we will begin selecting farms for the program. The reason why only donations before April 1, 2017 will be applied to the 2017 season is because the number of farms and which farms we accept into the program depend wholly on how many donations we have pooled up to that deciding date when we start creating the contracts. Any donations that come in after April 1 will be saved for the following 2018 season. Contact us at bobolinkproject@massaudubon.org if you have any questions. 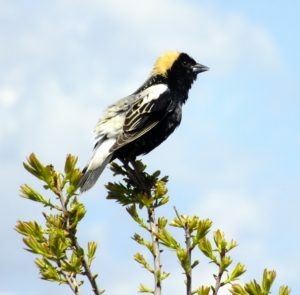 We are looking forward to a new season of The Bobolink Project! This entry was posted in Grassland Birds and tagged birds, conservation, The Bobolink Project on January 30, 2017 by Margo S..
Posted on January 19, 2017 by Margo S.
The Bobolinks are starting to plan their trip back north and we’re busily working to welcome them home by ensuring we conserve as many acres of grassland habitat as we can. 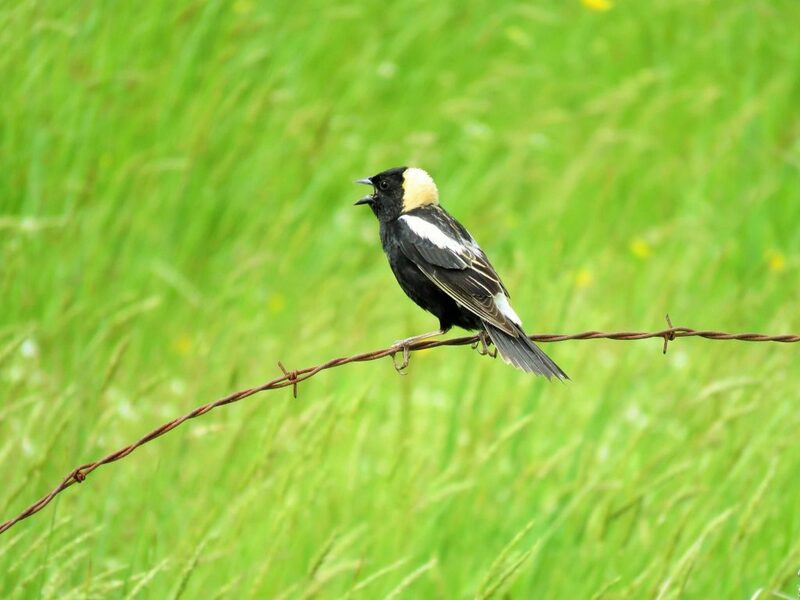 As many of you already know, The Bobolink Project is an innovative solution to a complicated problem. We use donated dollars to give farmers the financial assistance they need to protect grassland birds on their hay fields. We were thrilled with the success of the project under its new leadership of Mass Audubon and partners in 2016, and know that we can do even better this year! Last year we raised about $42,000 that enabled us to help farmers protect over 500 acres. Based on past data, we estimate that our Bobolinks raised 450 young on those acres. That’s 450 more Bobolinks than would likely have existed had The Bobolink Project not been in existence! We thank you for your help in that. 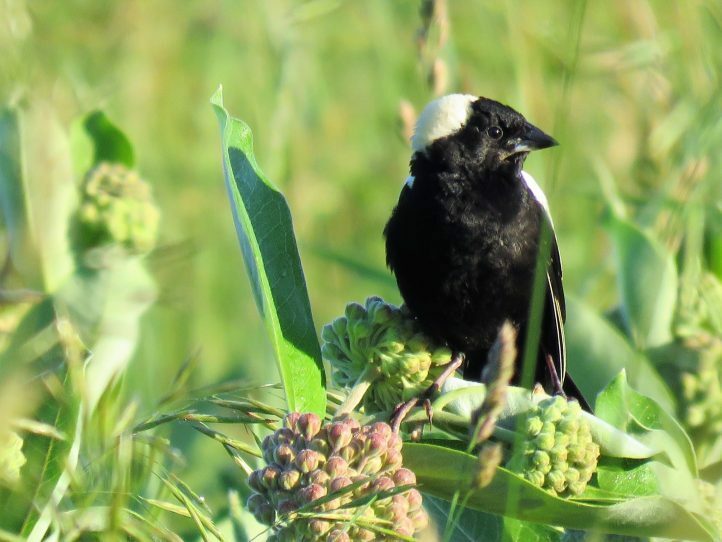 The more donations The Bobolink Project receives, the greater the number of Bobolinks and other grassland birds we can protect and help fledge. Only with your help can we use this innovative solution to directly and effectively conserve grassland birds. Please make a donation before April 1, when we will start enrolling the farms in the program. 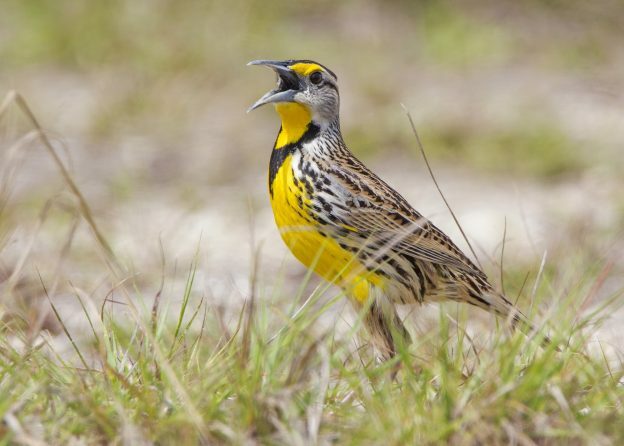 This entry was posted in Grassland Birds on January 19, 2017 by Margo S..
No idyllic scene of grassland habitat is complete without a meadowlark singing from atop a fencepost. Unfortunately, this sight is becoming increasingly rare in the Commonwealth, and the Breeding Bird Atlas 2 showed us that Eastern Meadowlarks have declined by 78% in the last 35 years. While conversion of open land to developed land is one of the most visible contributors to the loss of grassland habitat, a less obvious factor is the loss of big fields for breeding. Bigger fields (20+ acres) can hold more breeding pairs, and some species, like Eastern Meadowlark like really big fields. 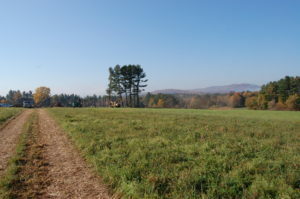 At our Canoe Meadows Wildlife Sanctuary we recognized an opportunity to create a big 70-acre field by removing a line of white pine trees that was separating two smaller fields. The trees have officially come down, and the field is looking fantastic! 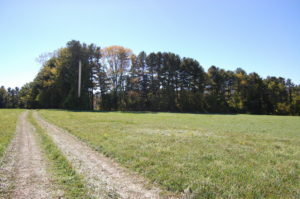 Check out the below before and after photos of the field. Private and federal dollars have gotten us this far in the restoration, but we still have to pay for fence removal and restoration work in the spring. Please help us reach our goal of $10,000. We’re 70% of the way there thanks to the Leverett Foundation, the USDA, and many generous individuals! Learn more and donate here. This entry was posted in Grassland Birds on November 14, 2016 by Margo S..